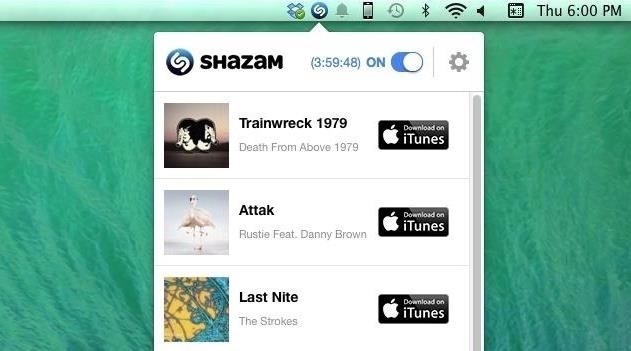 Shazam has ushered in an age where any song we like, but don't recognize, can be almost instantly identified. While the whole process is easy enough—just pull out your phone and hit a button—there are still moments where we might miss those quick and fleeting tunes. Say you're watching TV and a song begins to playing in the background of a show, but your phone is charging by the wall. By the time you get to it, the song is over and you've missed your chance at IDing it. 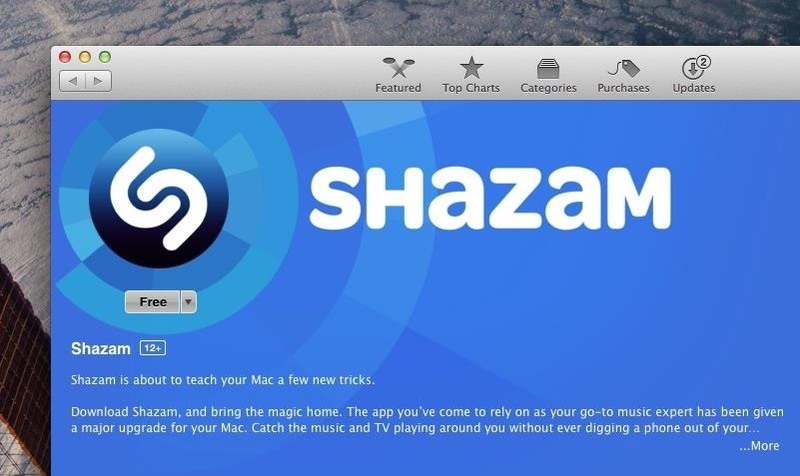 Thanks to Shazam's new Mac app, you no longer have to whip out your phone when you want to identify a song. Operating in the background, the app listens to music being played in your vicinity and creates a playlist of all the music heard in your menu bar. Once you download Shazam from the Mac App Store, you really don't have to do much except open it up and let it chill in the background (for up to 4 hours at a time) and let it listen for music. Once it recognizes a song, a notification will appear in the top right corner with an artist and song name. Check out all of the songs that have been recognized by tapping on the Shazam icon in the menu bar, which will bring up a menu of the tracks, organized by the most recently identified at the top. From this menu, you can tap on a song to be either taken to the Shazam website or to the iTunes link where you can purchase it. You can also disable Shazam with the toggle up top. 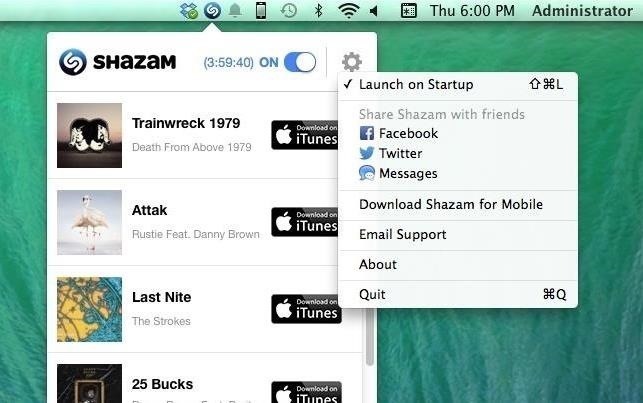 In the settings (accessible by tapping on the gear icon), you can choose whether or not you want Shazam to Launch on Startup, as well as share Shazam with friends and Download Shazam for Mobile. So while iOS 8 beta users will also be able to quickly recognize tracks with a built-in Siri feature, you can now use your Mac to do the same, without needing your phone, all in the background. News: What's Coming Up for SketchHeroes?